If you are new to training, then this eBook is for you and it will give you a framework to design and deliver your training (the 5 secrets!). 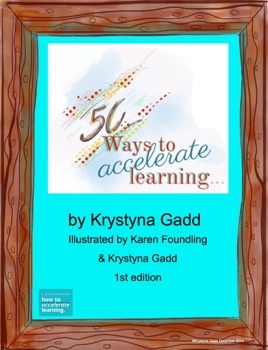 If you have been in learning and development for a while, then this eBook will give you 50 simple, but effective, ways that will help you to accelerate learning, that you may not have considered. For those of you not familiar with accelerated learning, it is sometimes known as brain friendly learning, brain-based learning or speed teaching. This book is dedicated to those people who aspire to develop and deliver learning that is effective, not only for the learners, but for the whole organisation. It is for those trainers, who would like to make the learning experience, the very best that it can be.